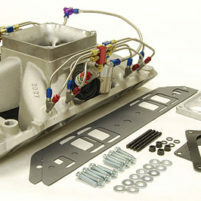 Reher-Morrison’s CNC anti-reversion plates broaden the power curve of your engine, as they improve carburetor signal, pull more fuel and increase power in most applications. 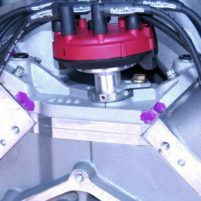 Other benefits include increased throttle response and faster recovery after gear changes or after coming off the throttle stop! 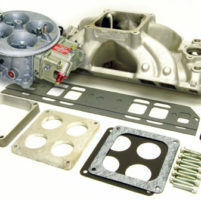 These ½” thick aluminum plates are available with 1.750″ diameter holes for 4150 style carburetors and with 2.050″ or 2.150″ diameter holes for 4500 Dominator style carburetors. 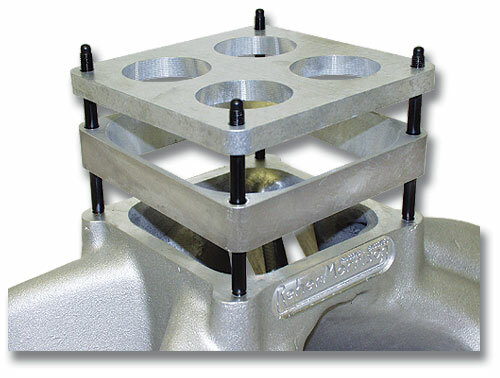 We have 1″ thick spacers CNC machined to match the reversion plates and provide even greater performance improvement!